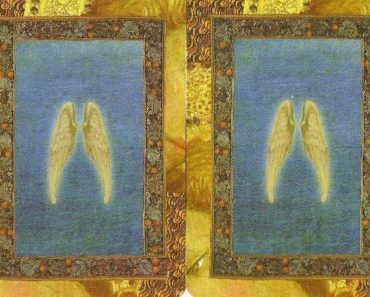 Doreen: Pay careful attention to the messages the Angels give you now. You have asked for a sign and they deliver it. Notice and trust these signs. Glenn: As you walk through your day, pay attention to your surroundings. Notice the little things. Someone whose mind is full can walk through a busy mall and see nothing. Someone whose mind is clear can walk through a quiet forest and see all the little details of life. Become aware of minor changes in your environment. Notice the colors of the flowers and the movement of the birds. The more that you see, the more that you learn. Pay attention. Doreen: Pay attention to new thoughts and ideas that come to you. They are seeds of magnificent co-creations with God. Glenn: For the man who invents a better mousetrap, it is necessary to first understand the old mousetrap and its limitations. Opportunities reveal themselves simply by becoming aware of the needs and struggles of others. What could make your life simpler and easier? If you can figure that out for yourself, it is likely that others desire the same benefit. This week, pay attention to the simple ideas that pop into your mind and perhaps they can be expanded to provide solutions for you and others. Doreen: Your prayer for a soulmate relationship is answered. Follow the guidance that you receive so that you may enjoy this gift of Divine Love. Glenn: While some people look for a soulmate to complete them, those who already feel complete seek a soulmate to enhance their experience. The more you are confident in yourself and what you are doing, the more likely you are to attract into your experience someone who adds to your world. The more you shine, the more likely you are to catch the attention of someone with a similar glow. Together you can light up the world. Things are happening around you and all you need to do is pay attention. As always, lightwork begins within. Focus on yourself and the moment, continually moving towards higher vibration. As you do, pay attention to the information coming your way. Walk through the week with joy and open eyes. You might be very pleased with the outcome.